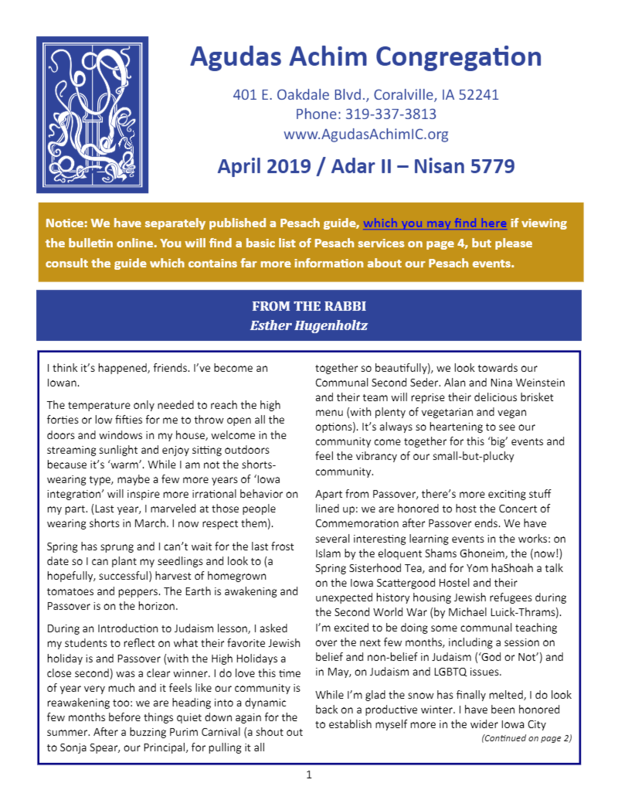 Agudas Achim’s April Bulletin is now ready! 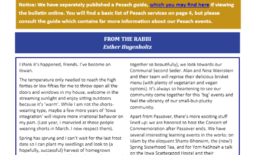 Also check out our 2019 Pesach Guide, a special mini-bulletin, that has Passover resources and details about our events. 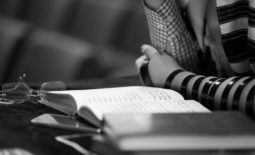 Read more about what’s going on in our congregation and community. 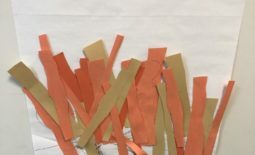 Our Bulletin is published every month. Contact the office if you would like to be on the mailing list.